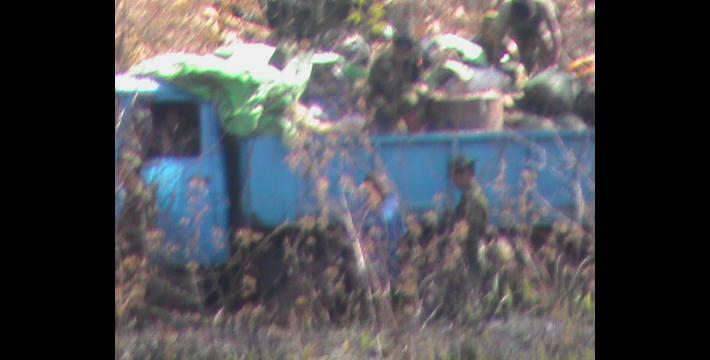 During the first three months after the January 2012 ceasefire between the Karen National Union (KNU) and the Burma government, villagers in Thaton, Nyaunglebin and Papun districts have raised concerns about Tatmadaw activity related to resupply operations, troop reinforcements and the transport of heavy artillery. LID #44 soldiers were deployed for road security purposes during military resupply operations at the end of January along the Bilin riverbank in Thaton District, while further north in Nyaunglebin District, LIB #702 transported rations, mortars and troop reinforcements, while Tatmadaw soldiers burned the vehicle road near three army camps. In Papun District, the vehicle road was repaired in early February before Tatmadaw soldiers transported supplies and troop reinforcements to camps in the area around Wa Klee Koo. The restricted scope of Tatmadaw operations since the ceasefire negotiations in January has allowed some villagers in Papun District to return to previously abandoned agricultural land. Villagers nonetheless complained of movement restrictions during military resupply operations, and expressed concerns that, because Tatmadaw troops have been reinforced and are now well-supplied, they will be in an advantageous position if the current ceasefire is broken. 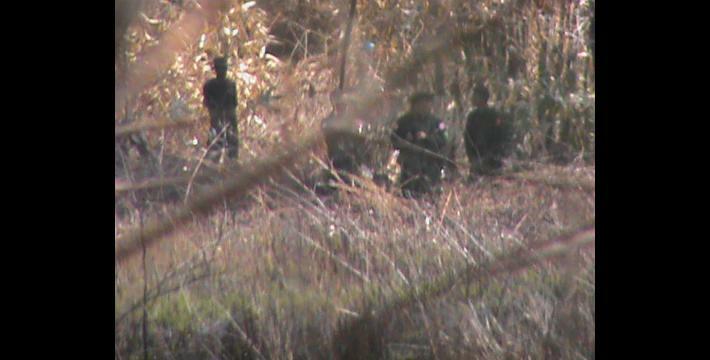 Tatmadaw Light Infantry Division (LID) #44 was deployed along the Bilin riverbank in Thaton District for road security purposes during military resupply operations. 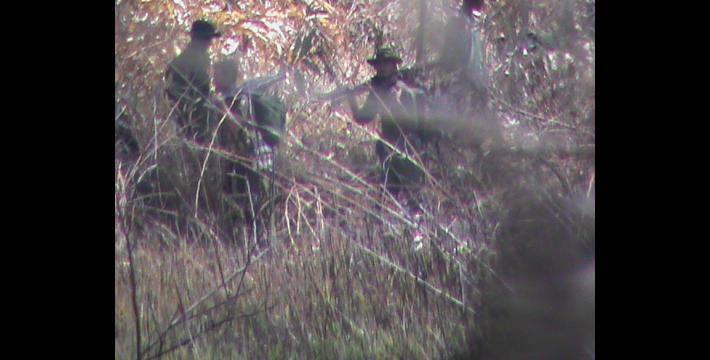 The LID #44 soldiers began arriving in the Thaton area on January 28th 2012, and on February 4th they became responsible for road security along the Bilin River. On January 21st 2012, the Tatmadaw began transporting their rations from Ler Doh army camp to Muh Theh army camp in 41 Toyota trucks, and continued on to Poh Khay Hkoh, which is the largest military resupply centre in Ler Doh Township. On January 26th, another 13 trucks travelled from Ler Doh to Muh Theh, before also continuing on to deliver rations to Poh Khay Hkoh camp. On January 28th at 7:00 am, Light Infantry Battalion (LIB) #702, which is under the control of Military Operations Command (MOC) #4, sent nine mortars to Poh Khay Hkoh army camp, including one 120 mm mortar and eight 81 mm mortars. On February 1st at 10:40 am, 37 trucks drove from Muh Theh to Ler Doh Township. 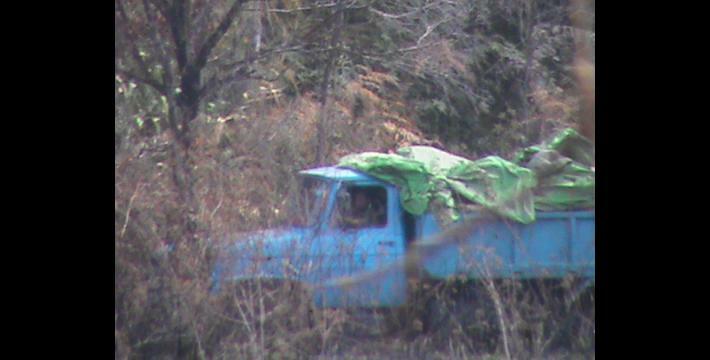 On February 3rd at 1:00 pm, 26 trucks arrived in Muh Theh, and at 1:55 pm they continued on the road to Poh Khay Hkoh. On February 4th at 4:00 pm, the Tatmadaw also sent 80 horses from Muh Theh to transport army rations; each horse carried one sack of rice. The next day, on February 5th, they continued on their way to Poh Khay Hkoh, where a large Tatmadaw military supply centre is located. On February 7th at 1:30 pm, 21 trucks arrived in Muh Theh, and eight of them continued to Poh Khay Hkoh on the same day. Seven monks accompanied the 21 trucks, possibly as an added precautionary security measure. 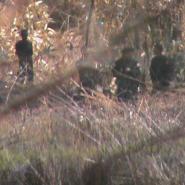 The next morning, on February 8th, 13 trucks continued to Poh Khay Hkoh. 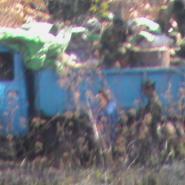 On February 16th, 15 trucks arrived in Muh Theh, carrying one LID commander with 88 soldiers under his command. At 2:00 pm, they continued to Poh Khay Hkoh. There are other army camps near Poh Khay Hkoh camp, which include Ee Tha Plaw, Wa Mee Kwee, and Thway Boh Plaw. 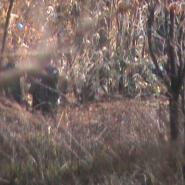 Soldiers from those camps have started to burn the forest on both sides of the vehicle road near their camps. 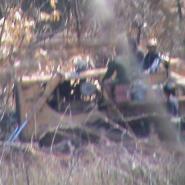 The same bulldozer that was used to repair the vehicle road between Ler Doh town and Wa Klee Koo army camp, as described above, departed from Ler Doh town in Nyaunglebin District on February 7th 2012. 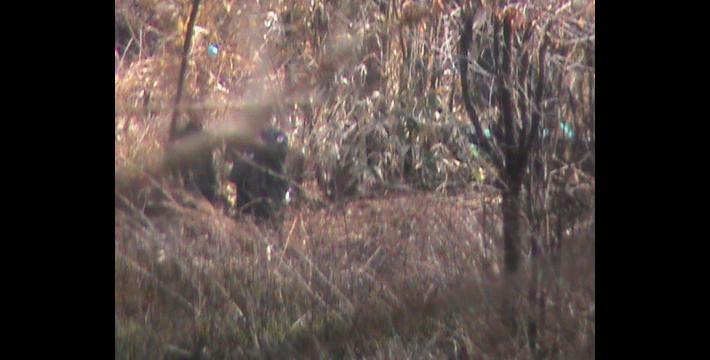 That evening, Tatmadaw soldiers and Burma government construction workers slept near the riverhead in Htoh Koh Hta and in a forested area called Thoo Der near to Wa Klee Koo army camp. One car carrying rice and oil supplies accompanied the bulldozer. 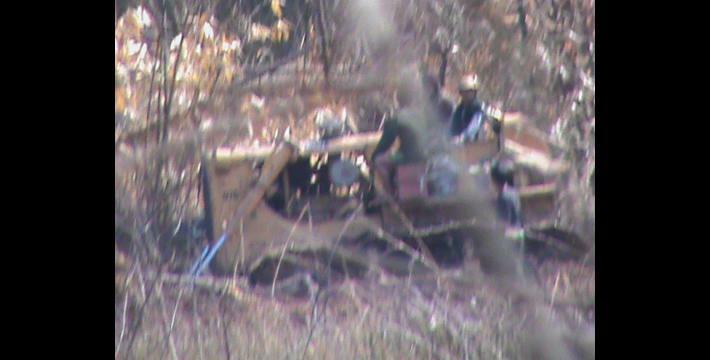 On February 9th, the bulldozer departed in the early morning and arrived in Wa Klee Koo army camp by 10:30 am. 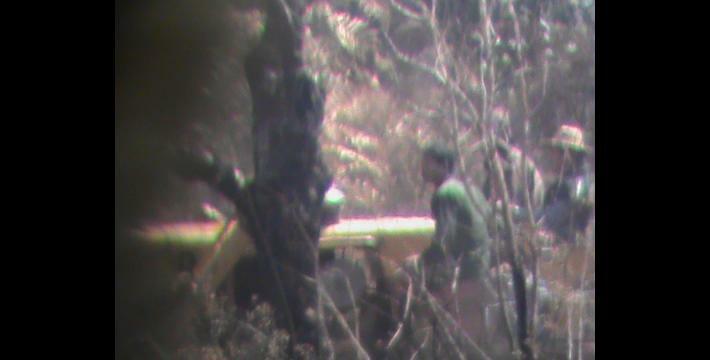 Then, on February 11th, the bulldozer left Wa Klee Koo army camp at 8:00 am and went to Htaw Muh Pleh Meh, the largest Tatmadaw camp in the area.The construction workers and soldiers slept in an area of forest between Htaw Muh Pleh Meh and Wa Klee Koo army camps called Doo Htaw Hpoh Day on the night of February 12th. The next morning they went to a field between Htaw Muh Pleh Meh and Wa Klee Koo army camps called Htee Wa Duh Plaw. 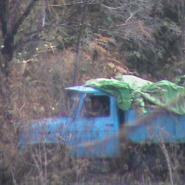 At 11:00 am, the bulldozer passed Day Law Hkoh forest between Htaw Muh Pleh Meh and Wa Klee Koo army camps. On February 13th, they slept at Hee Poh hill. In the morning, they arrived in Htaw Muh Pleh Meh, before returning to Ler Doh town on February 15th. Two days later, on the evening of February 17th, eight cars transporting army rations arrived in Wa Klee Koo camp. On the morning of February 18th, Tatmadaw soldiers left Wa Klee Koo and they arrived at Htaw Muh Pleh Meh camp on the same day. 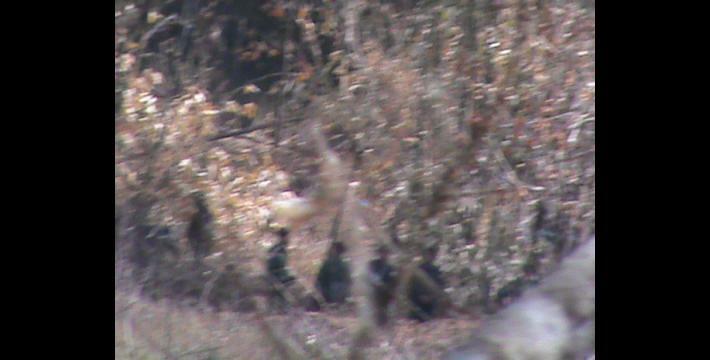 They came back to Wa Klee Koo at 4:30 pm and, again on February 19th, they passed Wa Klee Koo again. Some villagers in Papun District are flat field and hill field farmers. 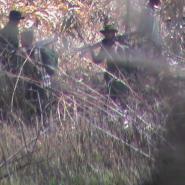 In 2012, villagers have been able once again to farm their land, because after the ceasefire negotiations began between the Karen National Union (KNU) and the Burma government, the Tatmadaw soldiers have had to observe a limited area of operation. 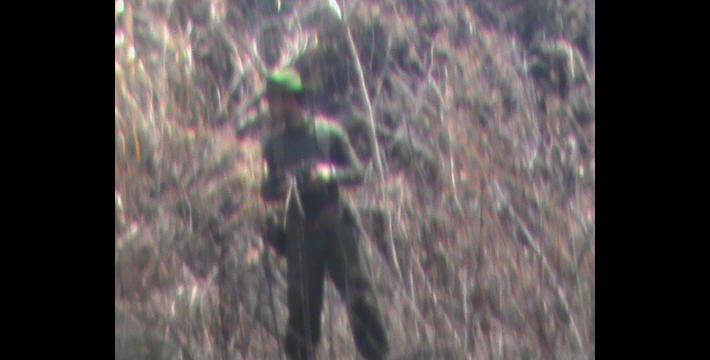 As the Tatmadaw soldiers are not allowed to patrol outside of that area, some villagers' find it safer to farm their fields. For example, on March 9th 2012, some community members travelling through Hkay Poo village tract in Lu Thaw Township, Papun District, witnessed villagers farming fields that had previously been abandoned for years due to Tatmadaw operations in the area. This year those villagers were able to work again in their abandoned fields. Conversely, some villagers noted that their ability to travel freely on vehicle roads used by the Tatmadaw is curtailed during resupply operations. At the same time, Tatmadaw soldiers have more opportunities to travel and deliver their rations to army camps because, based on the ceasefire, the Tatmadaw soldiers can travel around without being bothered by the Karen National Liberation Army (KNLA) soldiers. 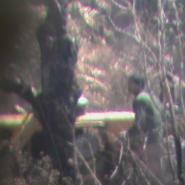 Some villagers described that they are still not confident to work openly and meet with Tatmadaw soldiers in their area, while others are concerned that, because the Tatmadaw has been able to resupply and send troops to their camps, if the ceasefire breaks down, their troops will be well-supplied and in an advantageous position. 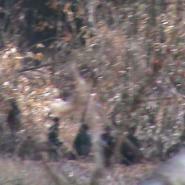 Because of this, some villagers worry that their situation will worsen if the ceasefire is broken. 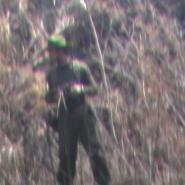 While the motive behind the burning of roads in this case is unclear, a Tatmadaw deserter previously described to KHRG attempts by Tatmadaw troops to remove homemade landmines planted by non-state armed groups (NSAGs) by burning overgrown sections of road; see Uncertain Ground: Landmines in eastern Burma, KHRG, May 2012, pp. 22-23. Regardless of motivation, reckless burning of land has severe impacts on villagers' livelihoods when it destroys forest or agricultural areas under cultivation; see "Toungoo Situation Update: Tantabin Township, January to March 2012," KHRG, May 2012.